Richard Bridge assists Captains on all manners of technical planning for their expeditions, from preparing the yacht and crew for the Polar Code to high level passage planning and worldwide deployment consulting. Richard joined the British Merchant Navy after leaving school at 17. He worked on a variety of cargo ships as a cadet and junior officer before taking a position as navigator on a sail training ship. Progressing to passenger ships in 1991, he attained his Class 1 Master Mariner’s certificate in 1993, and became Senior First Officer on Cunard’s Queen Elizabeth 2. In 1997, combining his experience of sailing and passenger ships, Richard joined Windstar Cruises, and gained his first command at the age of 35 on the company’s MSY Wind Song. In 2003, as superyachts increased in size and required unlimited tonnage certification, Richard secured his first position on a superyacht when taking command of the 126m MY Octopus for the final stages of the build. He went on to command some of the largest and most elite superyachts launched over the past 15 years, including the 115m Pelorus, the 162m Eclipse, the 96m Vava II, and the 138m Rising Sun). Richard has worked with helicopters, private jets and submersibles, as well as organized and overseen operations at major events with VIP guests, all while managing and motivating up to 115 crewmembers. 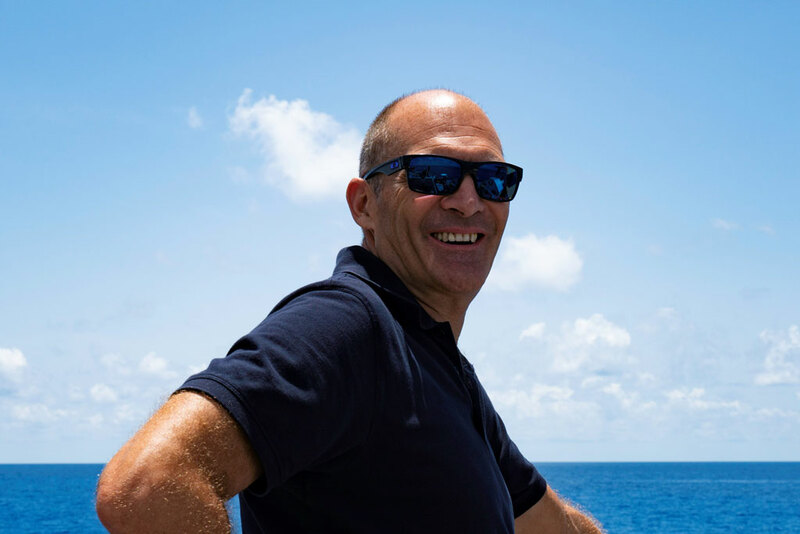 During his time on superyachts, Richard has planned expeditions and explored the Indian Ocean, Indonesia, Australasia, South Pacific, Alaska, Patagonia and Antarctica, as well as the more usual yachting destinations in the Mediterranean and Caribbean. In 2004, Richard coordinated and executed the project to find and film the wreck of a World War II aircraft carrier at a depth of 1000m in the Mediterranean Sea, culminating in a two-part BBC documentary.